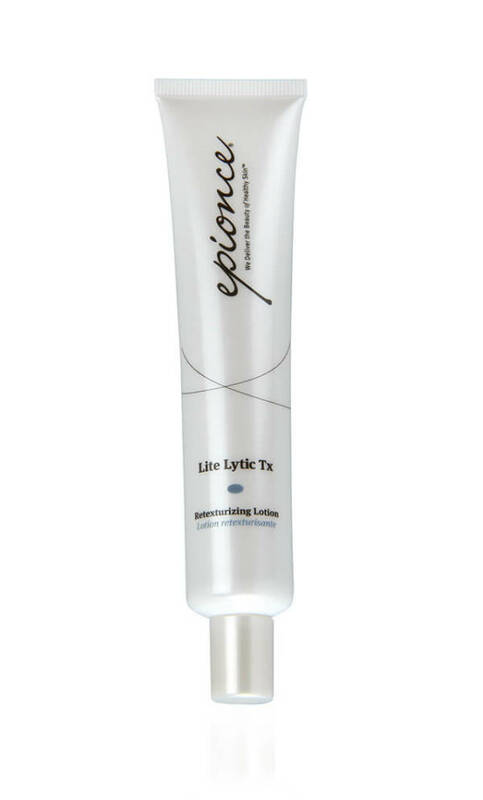 Lite Lytic Tx is a gentle-strength product that helps cleanse pores while smoothing the visible appearance of skin texture and imperfections. Daily use helps reduce irritation associated with blemishes and redness. It is gentle enough for use on fragile and very sensitive skin types, including infant and elderly skin. Water (Aqua), Salix Alba (Willow) Bark Extract, Butylene Glycol, PPG-2 Myristyl Ether Propionate, Limnanthes Alba (Meadowfoam) Seed Oil, Glycerin, Cyclopentasiloxane, Cyclohexasiloxane, Azelaic Acid, Butyrospermum Parkii (Shea) Butter, C10-30 Cholesterol/Lanosterol Esters, C13-14 Isoparaffin, Cetearyl Alcohol, Citrus Aurantium Dulcis (Orange) Fruit Extract, Glyceryl Stearate, Laureth-7, Lavandula Angustifolia (Lavender) Flower Extract, Limonene, Linalool, Olea Europaea (Olive) Oil Unsaponifiables, PEG-100 Stearate, Persea Gratissima (Avocado) Oil, Petrolatum, Phytosterols, Polyacrylamide, Polysorbate 60, Rosa Canina Fruit Oil, Salicylic Acid, Sodium Hyaluronate, Sodium Hydroxide, Zinc Pyrithione.